Some bacteria lack a cell wall but retain their ability to survive by living inside another host cell. Examples of bacteria that lack a cell wall are Mycoplasma and L-form bacteria. Mycoplasma is an important cause of disease in animals and is not affected by antibiotic treatments that target cell wall synthesis. Mycoplasma acquire cholesterol from the environment and form sterols to build their cytoplasmic membrane. osmotic environment: environment with controlled net movement of molecules from a region of high solvent concentration to a region of low solvent concentration through a permeable membrane. For most bacterial cells, the cell wall is critical to cell survival, yet there are some bacteria that do not have cell walls. Mycoplasma species are widespread examples and some can be intracellular pathogens that grow inside their hosts. This bacterial lifestyle is called parasitic or saprophytic. Cell walls are unnecessary here because the cells only live in the controlled osmotic environment of other cells. It is likely they had the ability to form a cell wall at some point in the past, but as their lifestyle became one of existence inside other cells, they lost the ability to form walls. L-form bacteria: L-form bacterial lack a cell wall structure. Consistent with this very limited lifestyle within other cells, these microbes also have very small genomes. They have no need for the genes for all sorts of biosynthetic enzymes, as they can steal the final components of these pathways from the host. Similarly, they have no need for genes encoding many different pathways for various carbon, nitrogen and energy sources, since their intracellular environment is completely predictable. 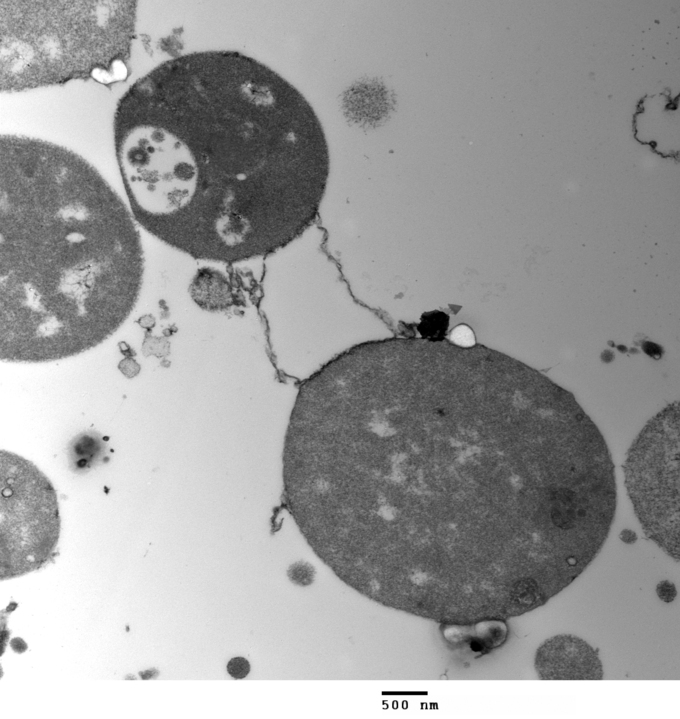 Because of the absence of cell walls, Mycoplasma have a spherical shape and are quickly killed if placed in an environment with very high or very low salt concentrations. However, Mycoplasma do have unusually tough membranes that are more resistant to rupture than other bacteria since this cellular membrane has to contend with the host cell factors. The presence of sterols in the membrane contributes to their durability by helping to increase the forces that hold the membrane together. Other bacterial species occasionally mutate or respond to extreme nutritional conditions by forming cells lacking walls, termed L-forms. This phenomenon is observed in both gram-positive and gram-negative species. L-forms have varied shapes and are sensitive to osmotic shock.